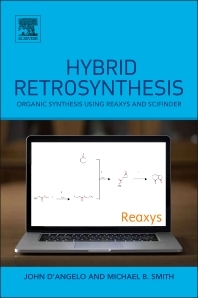 Designed to supplement existing organic textbooks, Hybrid Retrosynthesis presents a relatively simple approach to solving synthesis problems, using a small library of basic reactions along with the computer searching capabilities of Reaxys and SciFinder. This clear, concise guide reviews the essential skills needed for organic synthesis and retrosynthesis, expanding reader knowledge of the foundational principles of these techniques, whilst supporting their use via practical methodologies. Perfect for both graduate and post-graduate students, Hybrid Retrosynthesis provides new applied skills and tools to help during their organic synthesis courses and future careers, whilst simultaneously acting as useful resource for those setting tutorial and group problems, and as a helpful go-to guide for organic chemists involved in either industry or academia. Michael B. Smith, University of Connecticut, is a world renowned author of leading organic textbooks.